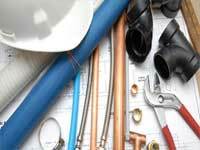 We provide professional Plumbing Heating North London services- repairs and installations for private and commercial customers. We use fully licensed CORGI registered plumbers and they can deal with any problems like leaks, central heating, repairs, installations, taps, repair and replacement of faucets, fixtures, pipes showers, boilers, drain clearing, surveys etc. Book our experienced plumbers in North London. We welcome our clients with free quotations and satisfactory price with no hidden costs. Your property will be spotless after our visit! If you need more info contact us right now on 020 8363 8072!